Ross Koda receives medal from Japan Agricultural Association. Ross Koda of Koda Farms (left) receives the Japan Agricultural Association commendation from Consul General Akira Chiba. 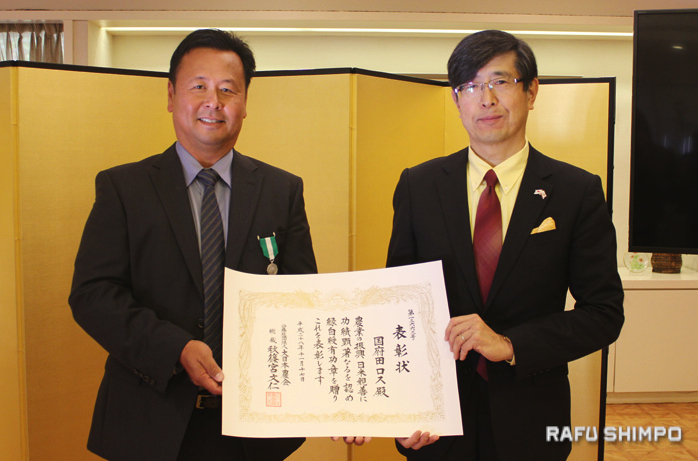 The Japan Agricultural Association (Dai Nihon Nokai) recently awarded its Achievement Medal for 2016 to Ross Koda at a ceremony hosted by Consul General Akira Chiba at the consul general’s official residence in the Hancock Park neighborhood of Los Angeles. 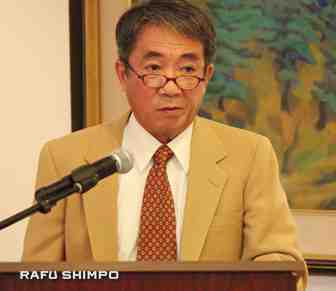 Shinkichi Koyama, chairman of Dai Nihon Nokai Southern California Council. Following his grandfather’s founding vision, Ross Koda delivers high-quality rice and agricultural products to consumers with rigorous control over every step of the production process, from development of seed strains to planting, harvesting, processing, packaging and shipping. Efforts going forward include addressing the challenges of climate change, drought and declines in soil quality. In addition, he is always generous in his cooperation with and support of the Fukushima Kenjinkai and in hosting agricultural students from Japan. Mike Kamimoto, representing the Southern California Kenjinkai Council. The ceremony was held on Nov. 29 with the participation of family members, friends and colleagues. Chiba offered congratulations on Koda’s achievements and presented him with a certificate and medal of commendation. 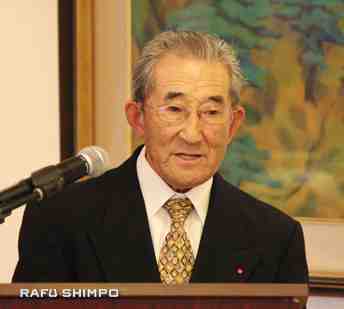 A congratulatory letter was shared by Shinkichi Koyama, chairman of the Dai Nihon Nokai Southern California Council. Fukushima Kenjinkai President Mike Kamimoto, representing the Southern California Kenjinkai Council, and Masanori Baba, film director, also honored Koda’s accomplishments. 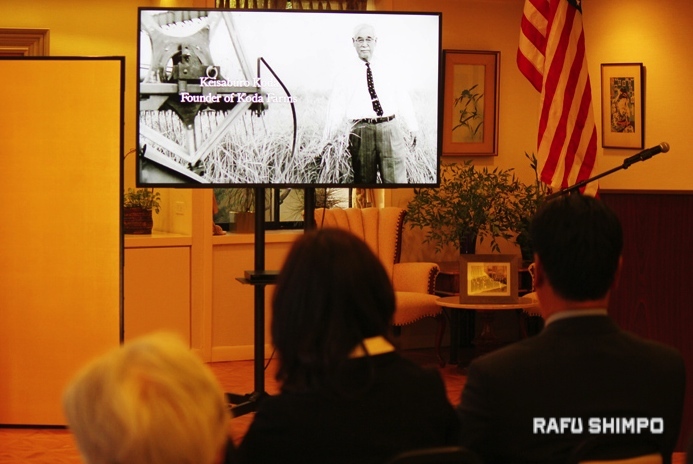 Attendees viewed a trailer for Baba’s documentary “Seed: The Life of the Rice King and His Kin” (Japanese title: “Dos Palos no Sora”), which tells the story of Koda Farms, California’s oldest family-owned and operated rice farm. To see the trailer, visit www.seedfilm.life. Attendees view a trailer for “Seed,” Masanori Baba’s documentary about Keisaburo Koda and his descendants. In his acceptance speech, Koda indicated he was not receiving this award for himself, but on behalf of the entire team at Koda Farms, and gave thanks to family and guests. Toby Mallen, vice chair of the Japanese Chamber of Commerce of Southern California, offered a toast and congratulated Koda, which concluded the ceremony. A reception and group photo followed. Many of Ross Koda’s family, friends and colleagues attended the ceremony.